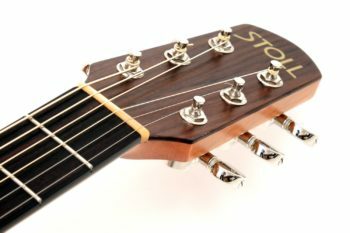 This small 12-fret acoustic guitar with a very special creamy sound makes the heart of every lover of authentic sound beat faster. 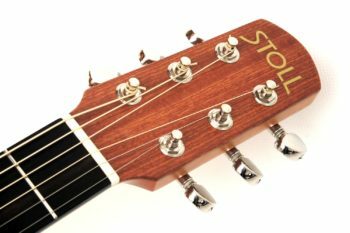 It is very suitable for strumming and flatpicking. 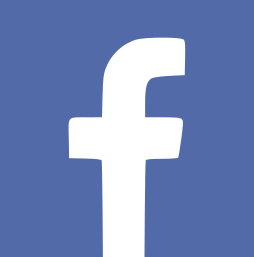 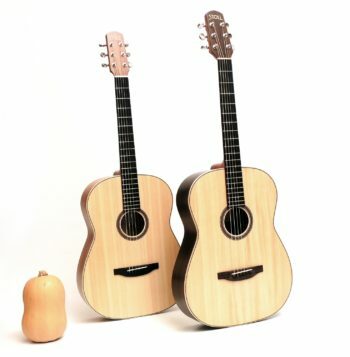 The name was inspired by the shape of the body, which is strongly reminiscent of a butternut squash. 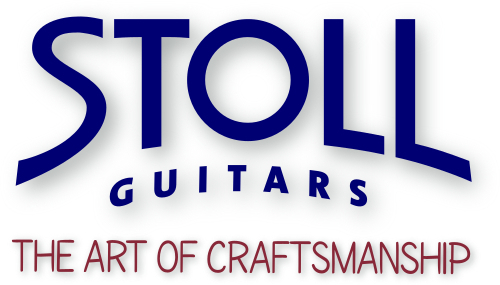  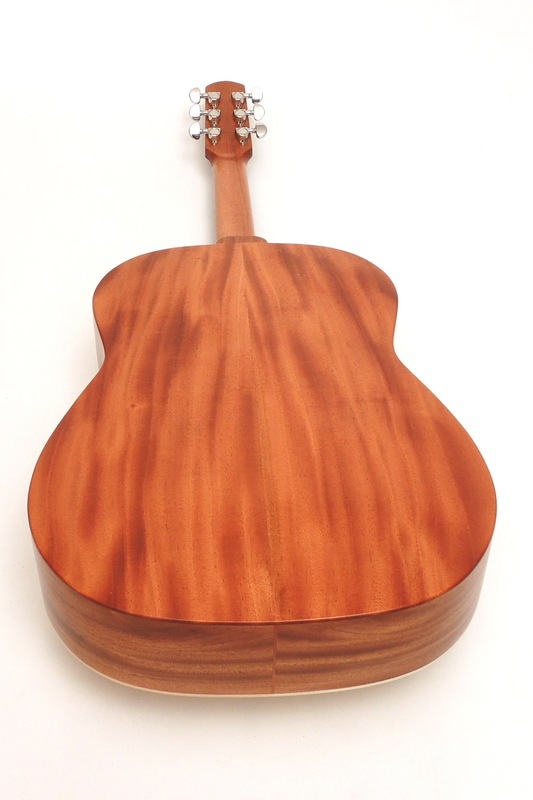 There are four guitars at the moment, two with Rosewood and two with Mahogany back and sides. 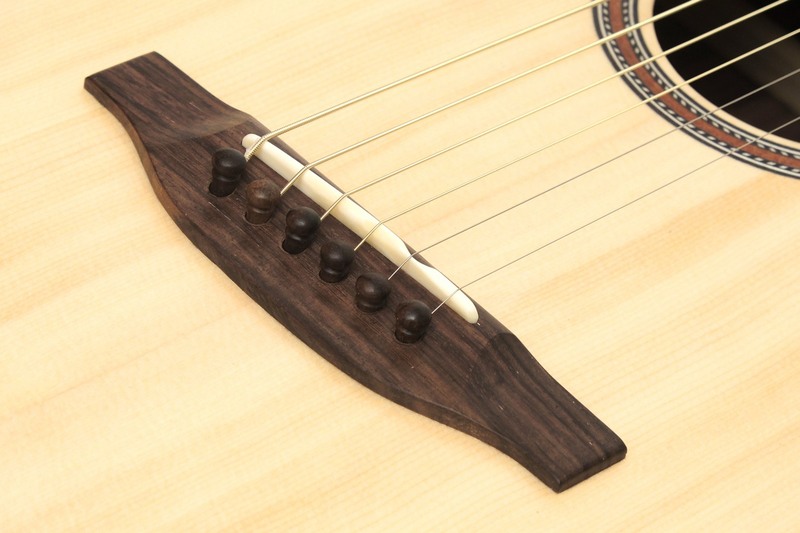 The neck-body transition is at 12th fret, just like the original steel string guitars of the early 20th century. The sound requirements were taken into account with the shape of the body which allows for a more subdued bass. 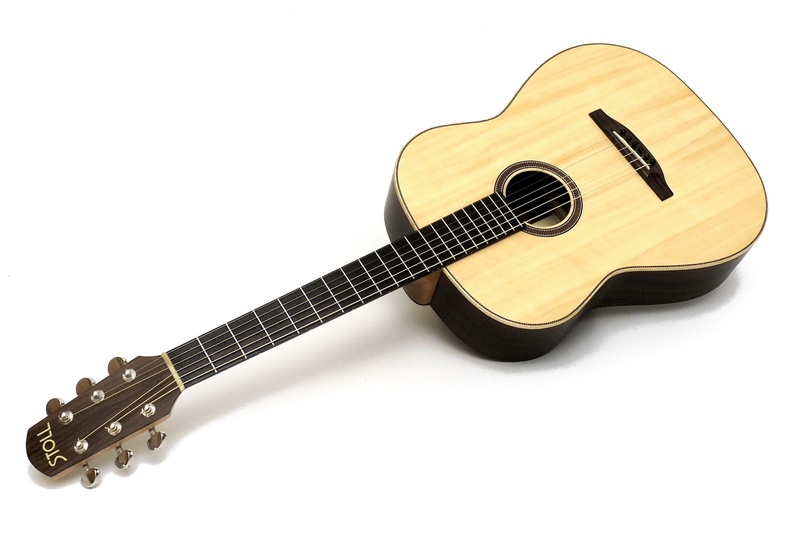 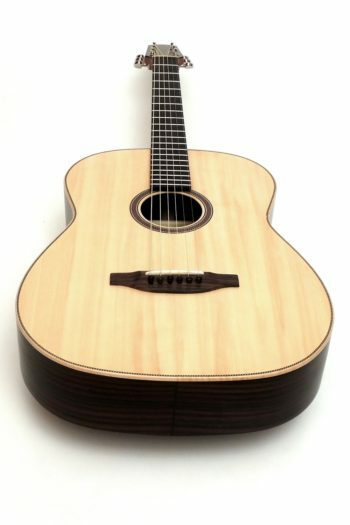 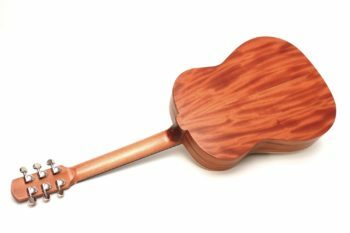 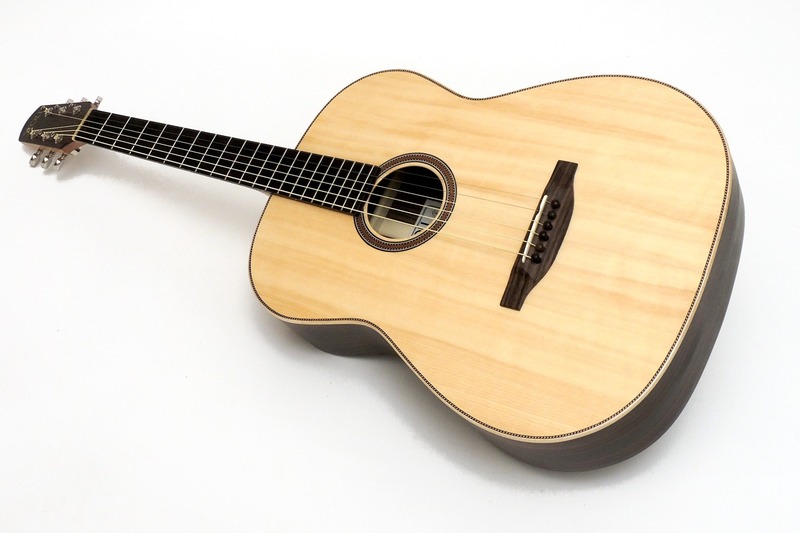 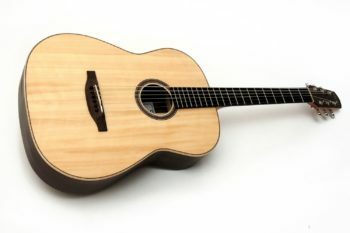 As 12-fret guitars are making somewhat of renaissance of late, with a scale length of 630 mm and a relatively small body, this western guitar represents a current trend. 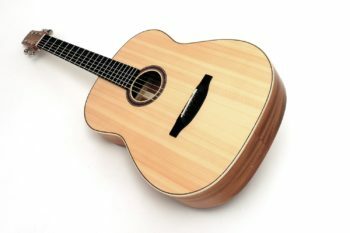 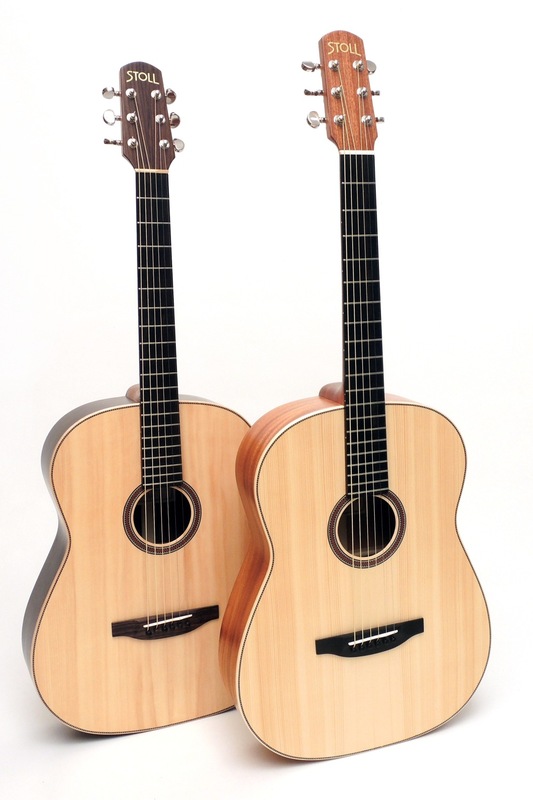 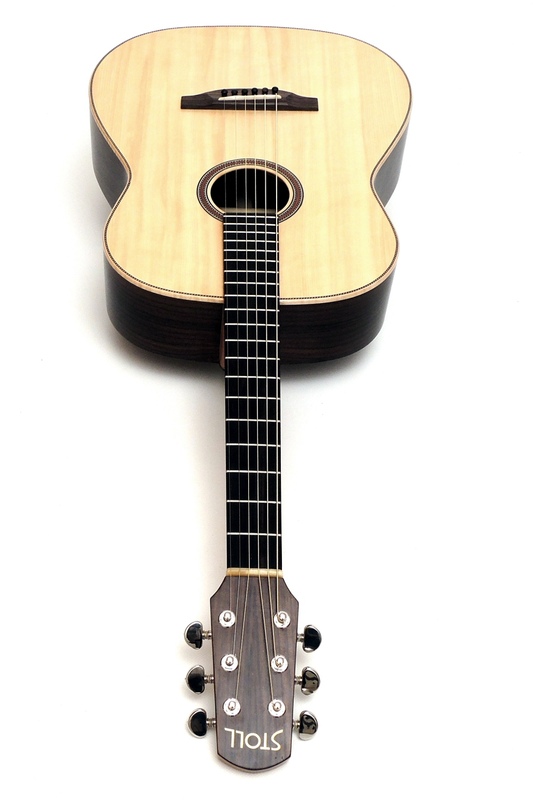 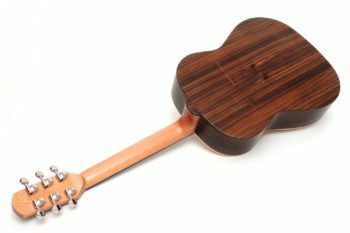 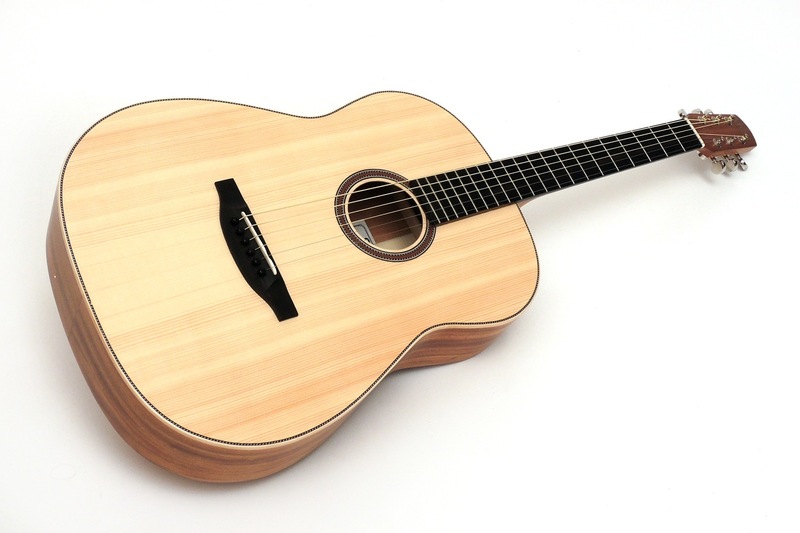 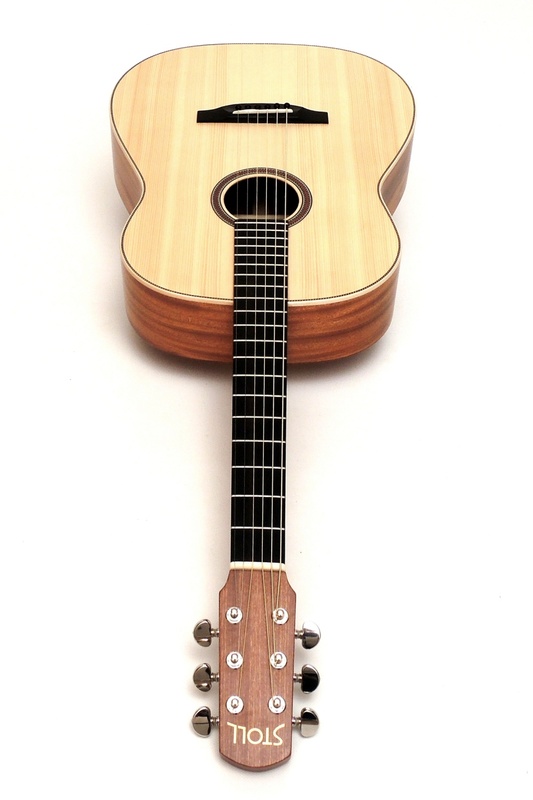 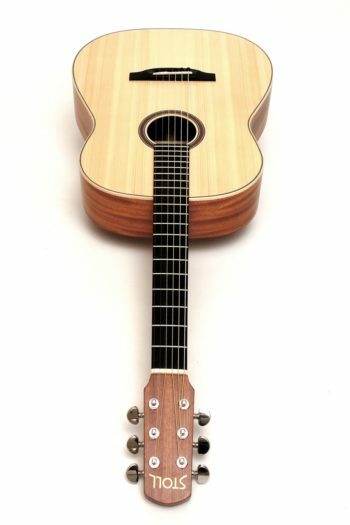 Butternought is available with Rosewood or Mahogany back and sides, both with Spruce top. For the Mahogany Butternought, we used Ebony for fretboard, bridge and other details instead of Rosewood. 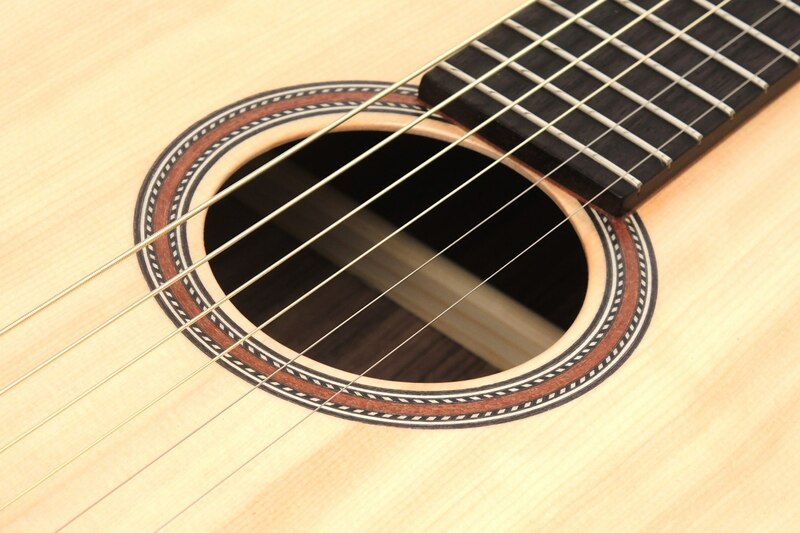 So frequent travelers can easily cross the border without the harassment of Rosewood registration. 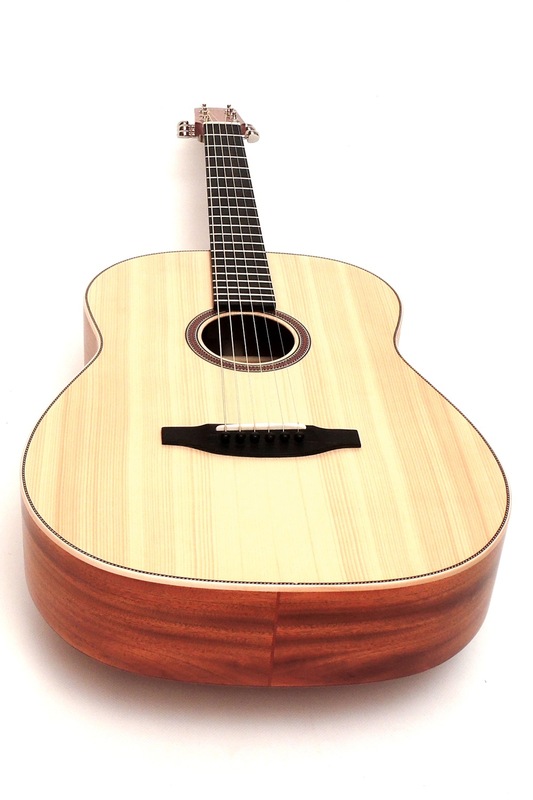 Another option, as with all our guitars, would be a Butternought without any tropical woods. 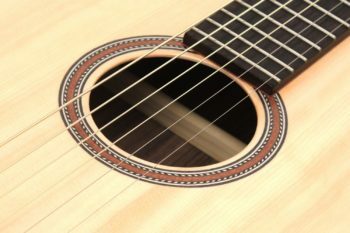 The "oldtimey" sound as known from Robert Johnson, Big Bill Broonzy or Blind Lemon Jefferson is determined by pronounced lower mids. 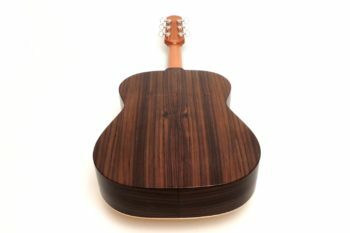 PT Butternought graciously and generously responds to the efforts of the guitarist and rewards him/her with a warm, homogeneous sound.